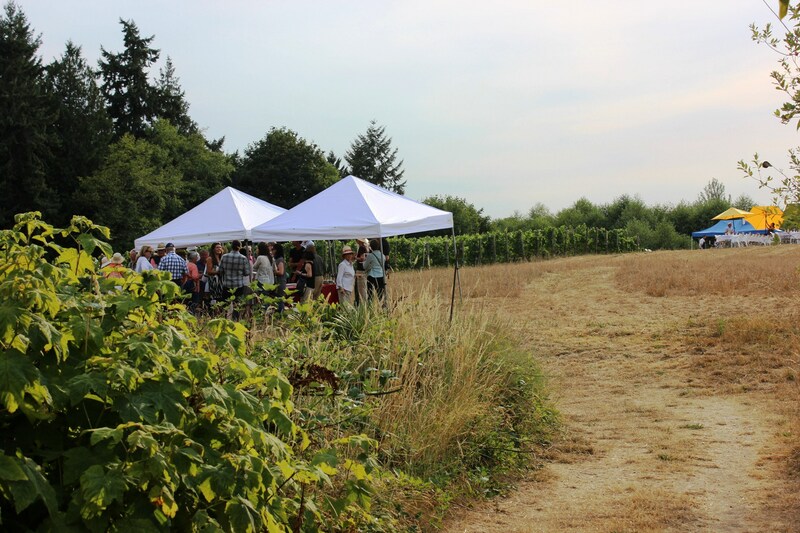 About 40 guests gathered at Bainbridge Vineyards on Sunday, August 2, for our latest Farm to Table Dinner, part of our seasonal NW Foodshed Series. 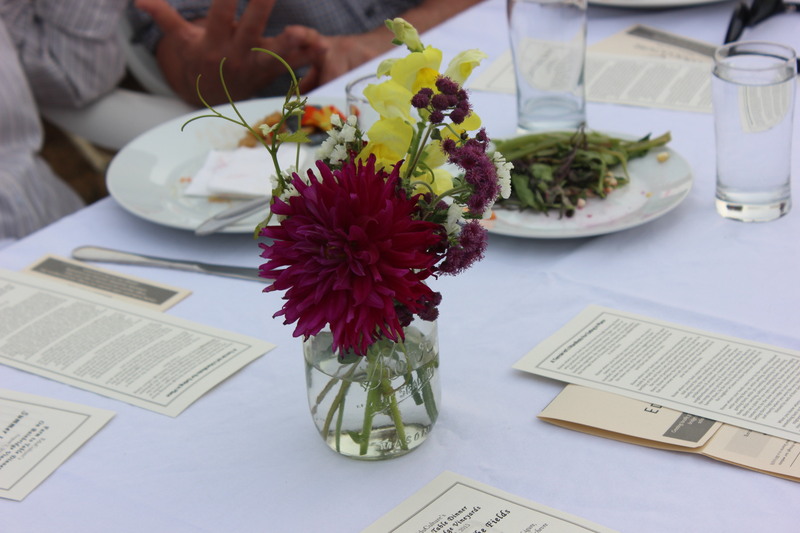 This summer dinner in the fields featured five delectable locally grown courses prepared by Leslee Pate-Dixon, co-founder of The Food Shed and Mossback and EduCulture’s Chef in Residence, and Bainbridge Island Chef Tad Mitsui. These courses were accompanied by unique wine pairings from Bainbridge Vineyards, whose grapes were ripening right next to our dinner tables. 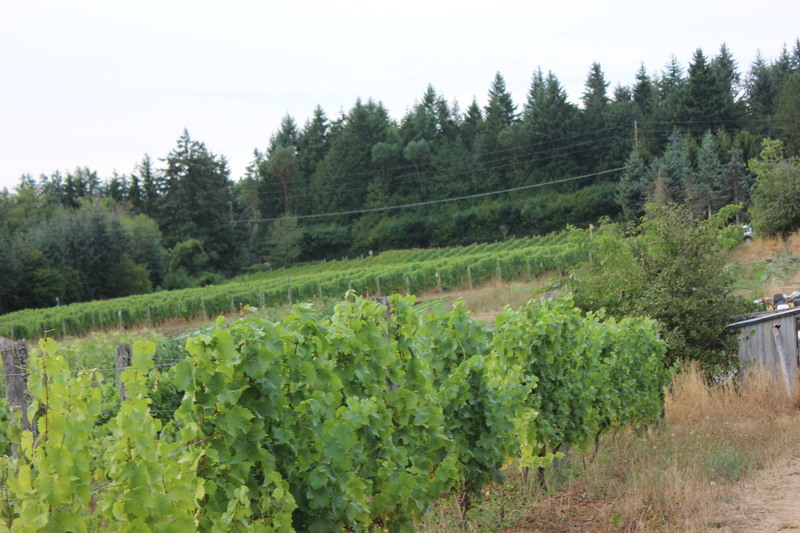 Locally grown wine pairings with each course. Mary Woodward and Katy Curtis enjoy the evening. 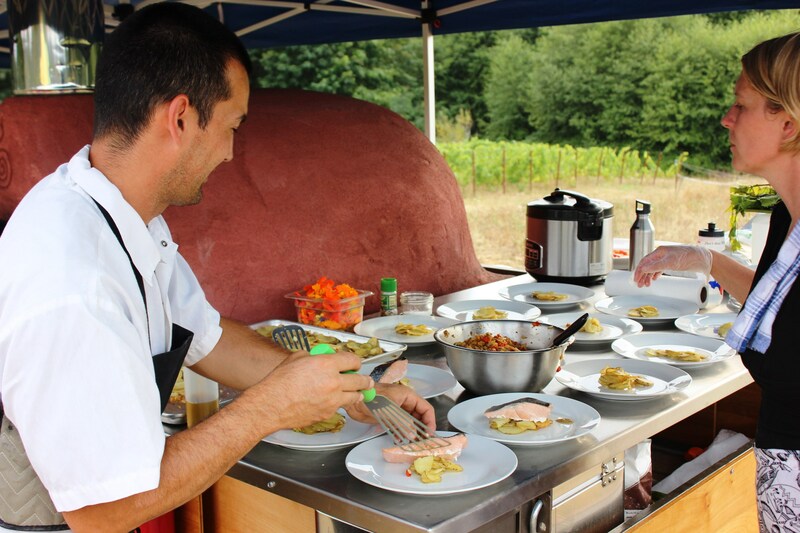 The superb outdoor kitchen is equipped for any need. Chefs Tad Mitsui and Leslee Pate prep the entrees. Enjoying the meal and the company. 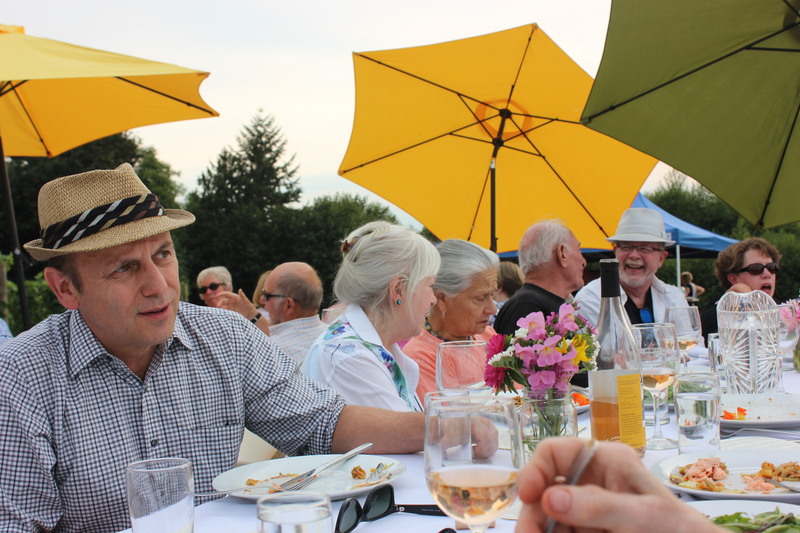 A lovely evening filled with locally sourced food and wine. The heat was almost too much to stand, so Dixon and Mitsui got out of the kitchen! 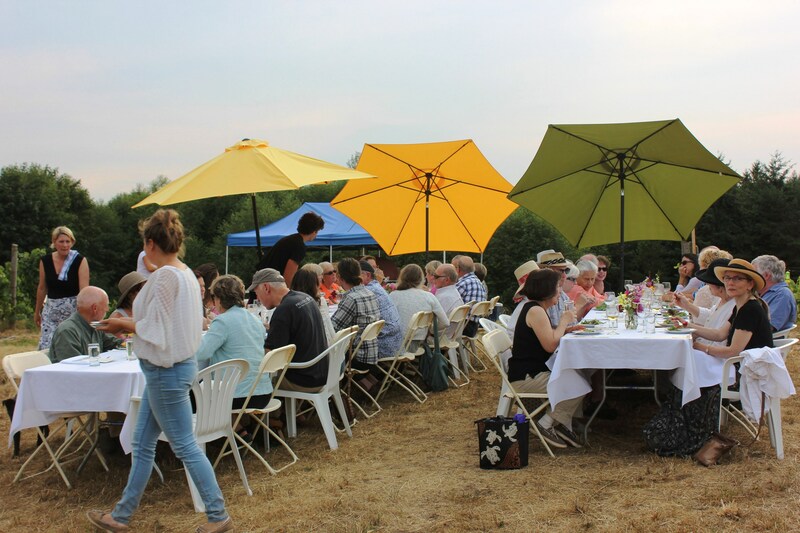 They arranged for a mobile, market-style, wood-fired brick oven to be situated in the farm fields where much of the produce for the dinner was grown, and near the long, white-linen banquet tables where guests were seated for their main course. 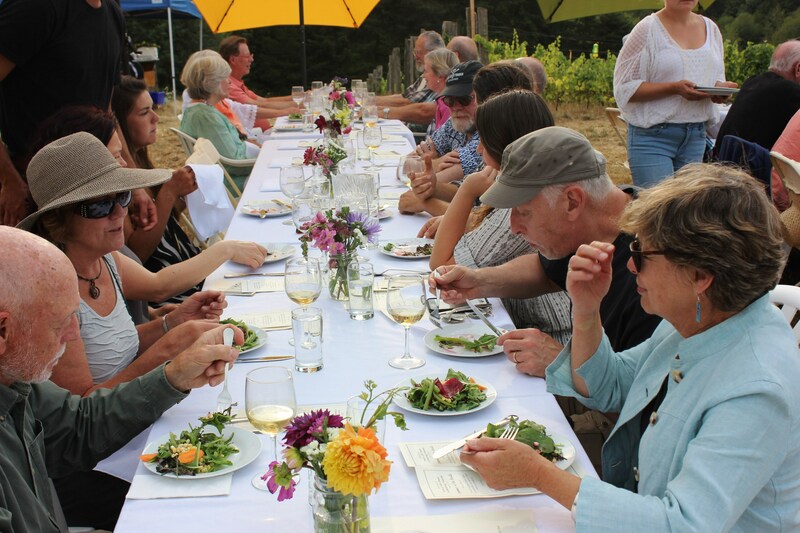 Before sitting down to dinner, our guests enjoyed initial courses while strolling from the Winery’s tasting room. Dixon and Mitsui thoughtfully designed the summer menu to include a pickled beet and bean salad, wood-fired king salmon with wildflower butter, and semifreddo with raspberries and chocolate. 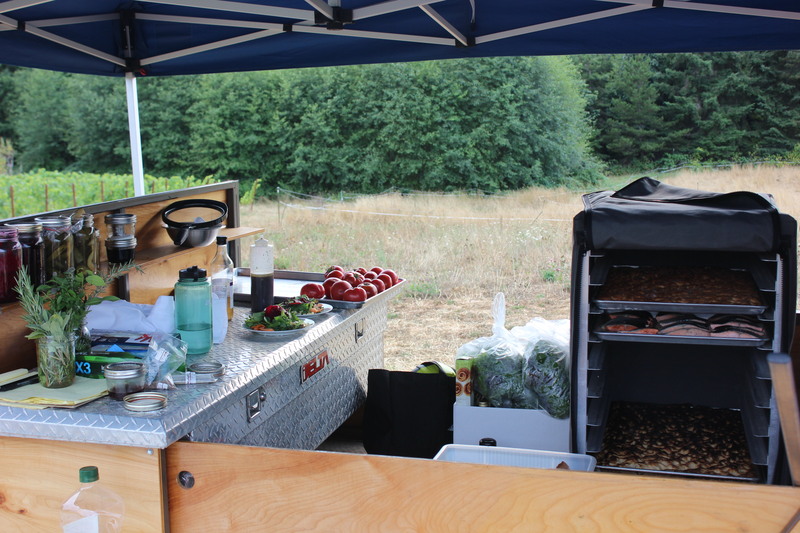 The oven was used to bake focaccia bread, roast vegetables and cook the Neah Bay salmon. 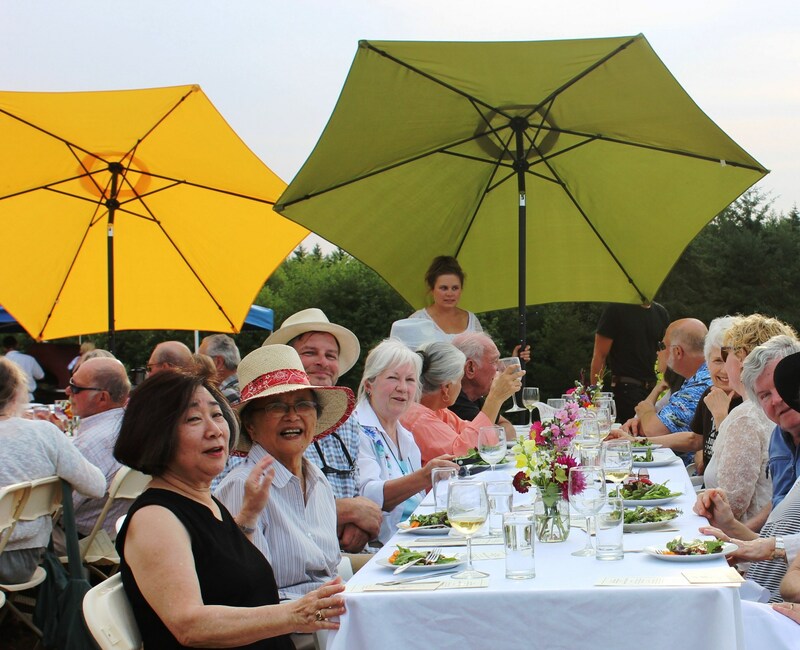 The idyllic pastoral setting, paired with fresh-cut flowers, a setting sun, and the gentle slopes of Suyematsu and Bentryn family farms, provided the perfect backdrop. 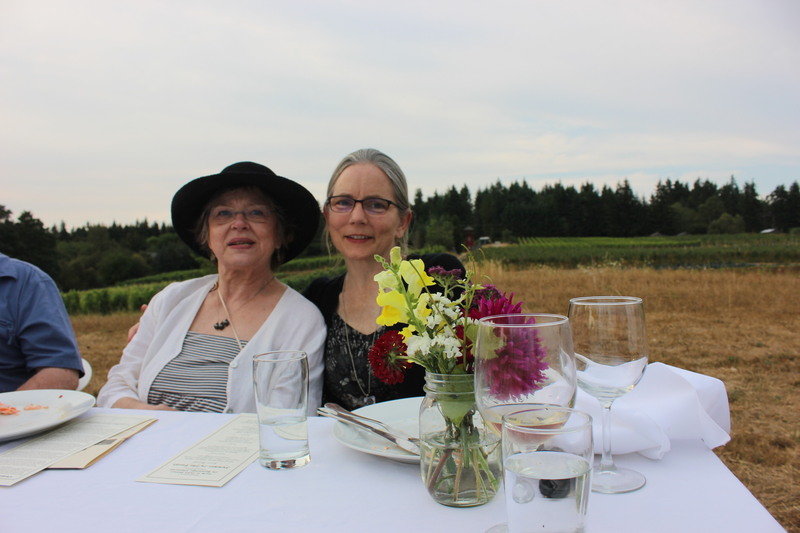 Among the many honored guests to attend were Kay Sakai Nakao, namesake of Sakai Intermediate; Mary Woodward, namesake of Woodward Middle School; and Gerard and Joanne Bentryn, founders of Bainbridge Island Vineyards and Winery. Also in attendance was Natalie Hayashida Ong, who grew up on Bainbridge Island and was visiting from Texas for the weekend. 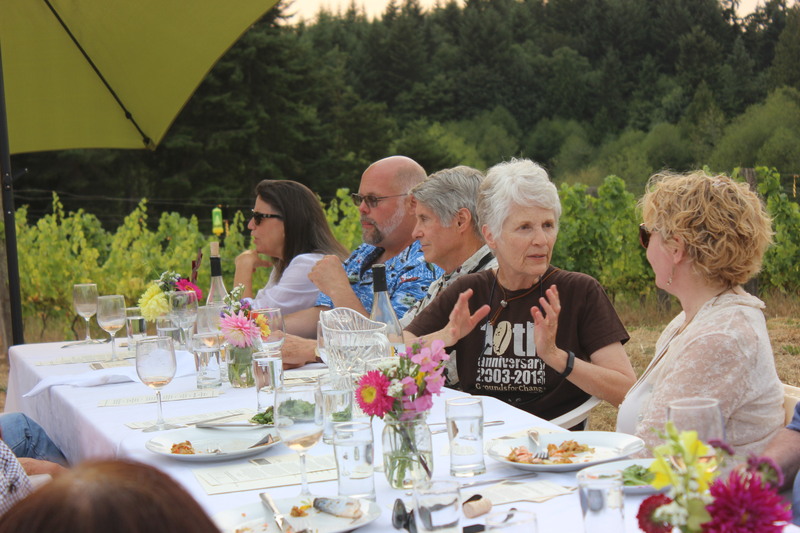 Betsey Wittick, owner of Laughing Crow Farm and Bainbridge Vineyards, was on hand to introduce the wine pairing for each course with tasty anecdotes and insights. 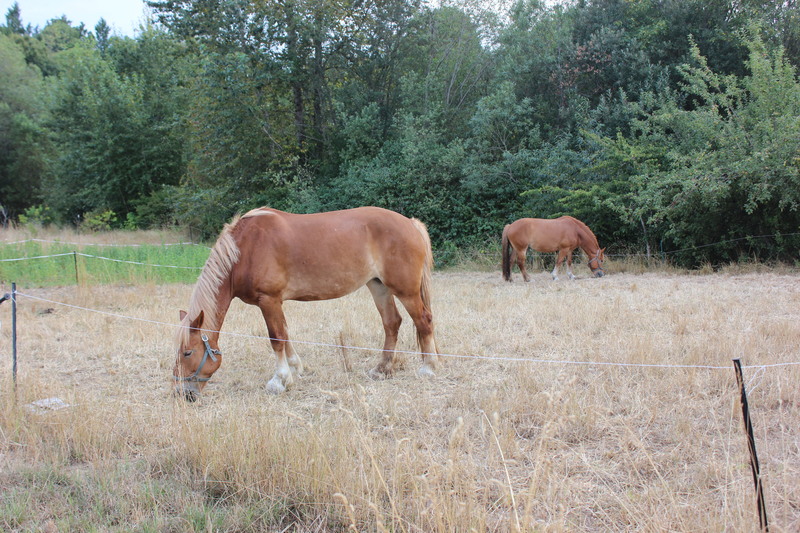 Finally, our seasonal “farm-raiser” couldn’t have succeeded without the generous volunteer efforts of local farm hands from Butler Green Farms, Persephone Farm, and Laughing Crow Farm, as well as student teachers from IslandWood. These folks represent the sprouting seeds of edible education that will usher in the next generation of farmers and educators both on and off the Island. Thank you for being a part of seeding & supporting EduCulture’s Edible Education Programs in 2015-16.